The Betsy Alden Outstanding Service-Learning Awards recognize one graduating senior, one faculty member, and one community partner for their commitment to the ideals of service‐learning. Each Alden award recipient receives $250 to further develop his/her community-building and leadership skills. Graduating seniors, faculty members, and community partners who have participated in at least one service-learning course at Duke are eligible to receive an Alden Award. Any member of the Duke community (including students) or a community partner organization may nominate an eligible student, faculty member, or community partner (individual or organization) for a Betsy Alden Outstanding Service-Learning Award. Please review the Nomination Process. Faculty and community partner nominations: Submit a statement of approximately 500 words indicating why the nominee deserves the award in light of the Selection Criteria. Student nominations: Submit a statement of approximately 500 words indicating why the nominee deserves the award in light of the Selection Criteria. ALSO, the student nominee must provide a short description or reflection on their service-learning experiences at Duke, so nominator must provide the student with the letter (page 2) included in the Nomination Instructions. We suggest doing so by the first week in March to allow time for them to prepare a statement before the nomination deadline, generally the week after spring break. Joint nominations are welcomed. Nominations should be submitted to Kimmie Garner, Assistant Director, Duke Service-Learning, by e-mail (kimberly.garner@duke.edu), mail (Box 90739), or in person (West Duke 213), and must be received by the March 20 deadline. For Betsy Alden, service-learning is ultimately about building more humane relationships and is linked to a deeper spiritual sense of vocation. The magic of her work with students, faculty, and community partners lies in her ability to connect people both to one another and to the deeper ideals of reciprocity, partnership, and a sustained commitment to the community. 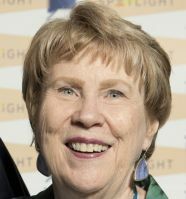 Referred to as one of the “founding mothers” of the service-­learning movement at Duke, Betsy Alden began combining learning and service in the 1980's. Since then, she has done it all: created and taught service­‐learning courses; forged community partnerships; recruited, inspired, and mentored faculty and students; developed and administered campus service‐learning programs; and championed service­‐learning through publications, lectures, workshops, and service on national boards. In the ten years Betsy led the service­‐learning movement at Duke, service-­learning evolved from an obscure pedagogy used by a handful of faculty to a vibrant cross­‐disciplinary practice.